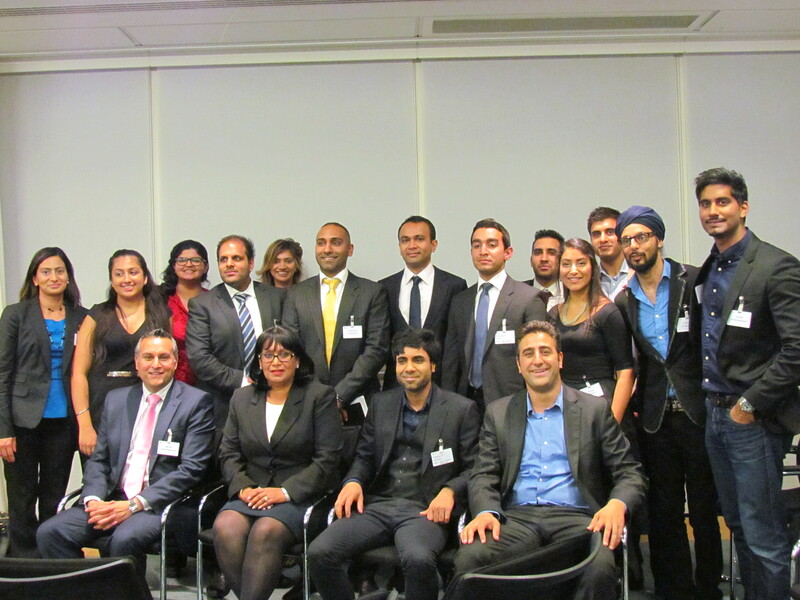 The latest instalment of CSN’s Recipes for Success series of discussions took place recently at the UBS offices in London. The event itself was a resounding success and generated a lively and engaging debate among the panellists and the audience. Paul discussed the challenges that he had to overcome and in particular, the stereotypes associated with being of Sikh, Indian heritage. A poignant statement was also made around what remains to be done with respect to overcoming stereotypes particularly within the entertainment industry. Building on this, Paul made a good point about the fact that as a community, we’re still in a cycle of “firsts” e.g. the first Asian Comedian and the first Asian female front bencher in Government. Stephen mentioned empathy, passion and a vision as his key drivers. He also stated how the possibility of change, particularly within the area interfaith outreach was a key motivator for him. Baroness Verma provided a very thought-provoking overview of her past experiences. She discussed the challenges of being “boxed in” to stereotypes but ultimately, reinforced the point that we should all have the courage to be ourselves. Stephen turned this point on its head by talking about how it “fuelled” him to do better. He made insightful points around the importance of being attracted to like minds and to help open closed minds through the power of personality. Paul made the point that discrimination isn’t something that you would necessarily overcome as it will always be a fact of life however, he did say that discrimination should be dealt with and tackled and that one should not be afraid to challenge the status quo. Paul commented on the importance of competing with yourself as opposed to others and also made an excellent point around the importance of embracing struggle. Stephen spoke eloquently about the importance of having an opponent in life to push you further be it a virtual or real opponent. He also discussed the eventual role reversal in the mentor (guru) and mentee (assistant) relationship and the importance of the ever learning dynamic. Baroness Verma discussed how both her mother and her father were her initial mentors in life. She discussed the importance of a supporting husband. Finally, she mentioned how a business advocate also helped drive her in life. Baroness Verma pointed out that running a successful business is about the bottom line however, one should be principles led in their business endeavours particularly with respect to the social impact. Where success factors weren’t easily measured, particularly for charitable organisations seeking to drive positive change, Stephen discussed how his organisation, 3FF, focussed on cultural and communal change by looking at changes in attitude, perception and behaviour. He also mentioned the need to continue to embed positive changes. Paul discussed how using online media, in particular YouTube, helped garner an interest in him both in the UK and abroad. This helped broaden his network and increase the public awareness of his talents. So, what were the key ingredients to a recipe for success?